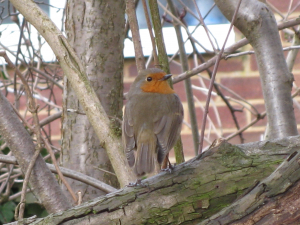 Observation - Robin - UK and Ireland. Description: Bright plumage. Popular visitor to the garden (often the first to use feeder)and spotted amongst the hedgerows. Vocal, especially in the early morning. Bright plumage. Popular visitor to the garden (often the first to use feeder)and spotted amongst the hedgerows. Vocal, especially in the early morning.